Kia may have just launched its largest-ever SUV, the Telluride, but it may be contemplating a second big utility vehicle. Unveiled at the 2019 Seoul Motor Show, the Kia Mohave Masterpiece concept hints at yet another new SUV from the Korean automaker, and shows off an evolution of Kia’s signature “tiger nose” grille. The new grille features large vertical bars that give it a Hannibal Lecter-like look. Complex lighting elements peek out from between the bars. 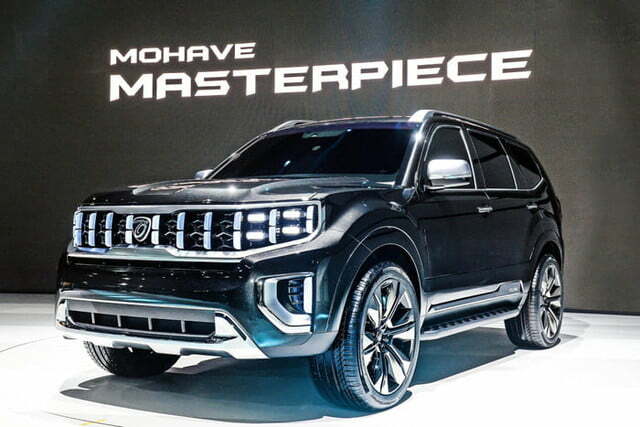 The rest of the Mohave Masterpiece concept is a stereotypical SUV box on wheels. It’s a look that still proves popular with buyers, so why fix what isn’t broken? Kia described the Mohave Masterpiece as a “large off-road SUV,” but didn’t release any technical specifications that might shed some light on its true off-road capability. The automaker only released a handful of photos of the exterior, and its press release didn’t even discuss the interior or powertrain. Mohave is the name used for the Kia Borrego in other markets. The Borrego was Kia’s last attempt at a large SUV with off-road capability, and it was a sales flop in the United States. Kia introduced it in 2009, when the financial crisis and high gas prices were suppressing sales of big SUVs. The Borrego lasted less than one model year in the U.S. and was quickly replaced by an enlarged Sorento, but soldiered on as the Mohave in other countries. If Kia put the Mohave Masterpiece concept into production, it’s possible that the SUV could make it to the U.S. In contrast to when the Borrego was launched, gas prices are low and sales of SUVs are skyrocketing. 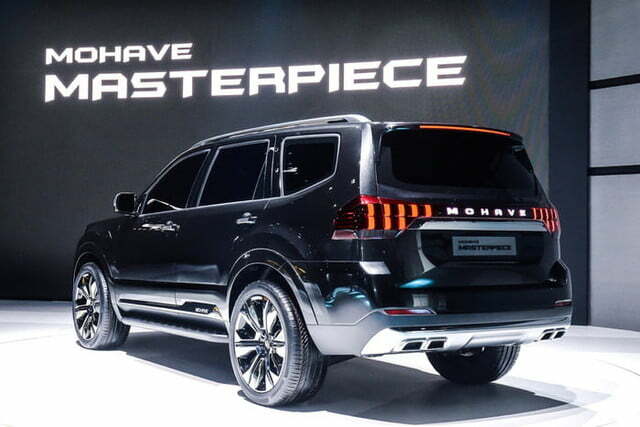 Now is as good a time as ever to bring out a vehicle like the Mohave Masterpiece. On the other hand, Kia would have to distinguish the Mohave from the Telluride, itself a brand-new vehicle that pushes the boundaries of the brand. Kia isn’t the only Korean automaker going SUV-crazy. Parent Hyundai will unveil a new model called the Venue at the 2019 New York Auto Show. The upcoming Hyundai Palisade will share a platform with the Telluride. Unveiled in November 2018, the Palisade is expected to hit U.S. showrooms this summer.